In 1900, a second deep level tube railway was opened beneath London's streets by the Central London Railway company. Some of these stations still exist forming part of London Underground's Central Line. 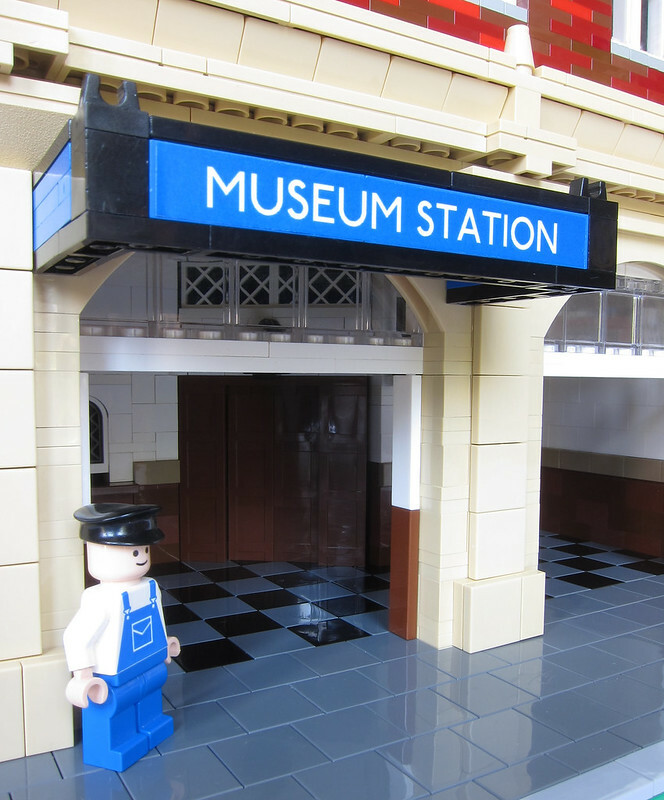 This model illustrates how one of these stations would have looked in the 1930s. 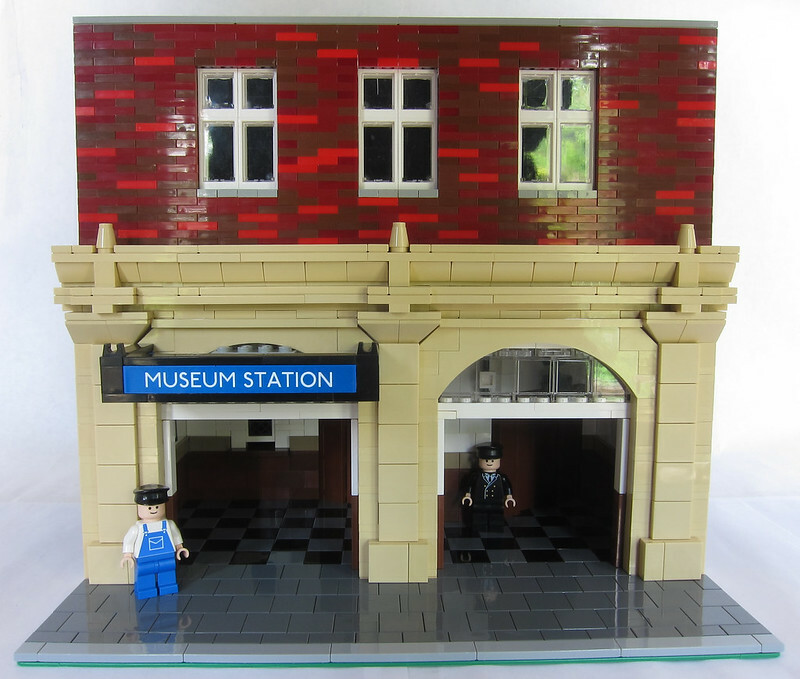 AWESOME work again from you 'AJW', I really like the lift doors made from those containers.....wonderful brickwork and tiling.......Brick On 'AJW' ! Super job! You've captured the facade of an old Tube Station perfectly and the hinged front is a nice touch. Good looking interior. It definitely takes me back to my commuter time on the Central line (though obviously I don't recall the lifts). Great MOC. Very realistic looking. Love the plate brickwork on the upper floor. One improvement suggestion: It would look better if you used SNOT to get rid of the row of white studs visible below the glass panel at the top of the entrance arches. Thanks for showing us this! It looks great. The shapes you made out of tan on the facade make it interesting to look at. Are you going to build an underground tunnel to go with it? I absolutely adore how polished this model looks, especially those lift doors. An excellent piece of design. It looks gorgeous! Really unmistakable, there's a true London vibe to it. Well done. This looks great! Love the beautiful plate work and how it contrasts with the lower part of the facade. 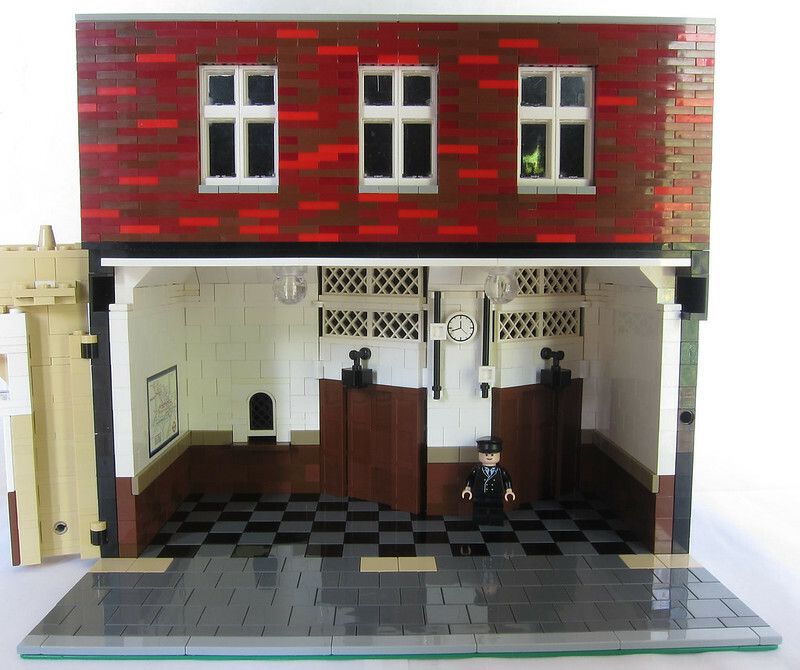 I also like how you've done the lift doors and the ticket window. Excellent work, I love your other station builds aswell. The use of boxes for the lift doors is great. I look forward to seeing more examples in the future! This certainly looks like the tube station at Elephant and Castle in central London. Great job! I really like the archways. Fantastic! The details are amazing, and it truly does make me feel like I am in London. That is perfect. I love the detail and the colours. Excellent work. This is an amazing creation, nostalgic and impressively detailed! I have no prior knowledge of how these should look. I've never been near one. But this in LEGO form is awesome. 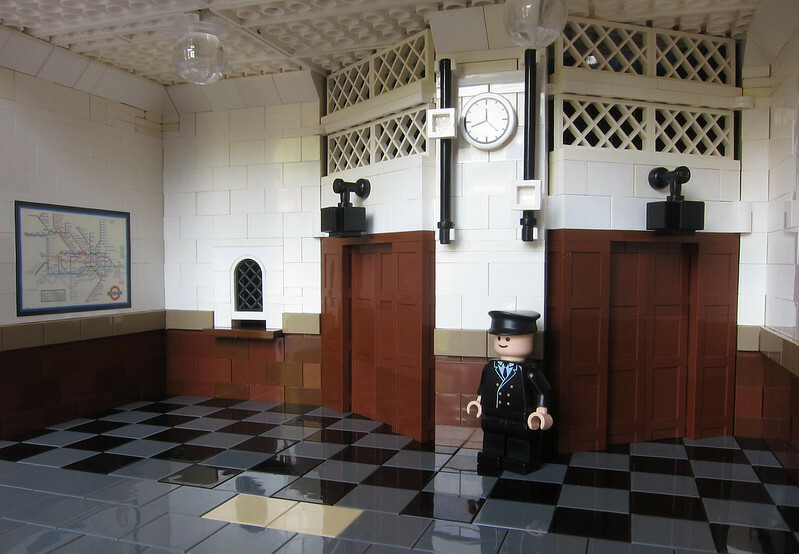 I love the lift doors, the ticket window, even the flooring adds a lot to it. I can easily picture this in real life. I was considering doing my Modular sidewalk like that too. I ordered a whole bunch of 1x2 and 2x2 dark bley tiles to see if I prefer the more cobblestone look or larger stone look. 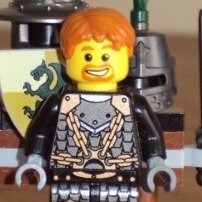 I'd like it if LEGO released more of the classic smiley in licensed skin tone.